Find a vacation home to rent in Messanges from our list of vacation rental properties. Campaya has over 31 vacation homes available in Messanges, which give you the possibility to locate a unique accommodation in Messanges which completes your check-list in search for the perfect self catering vacation apartments in Messanges or vacation villas in Messanges. 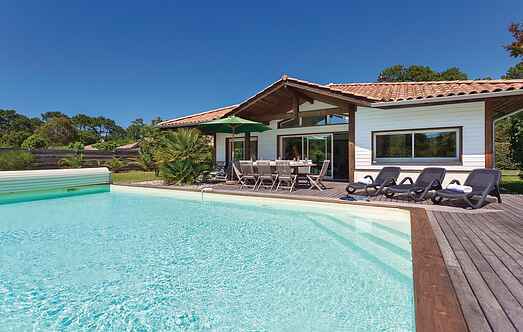 These comfortable and modern villas await you, not far from the Atlantic with its long sandy beaches and in the middle of the prestigious golf course of Moliets. Situated close to the Atlantic Ocean, on the prestigious Moliets golf course, this three bedroom villa offers both comfort and modernity. This comfortable and modern villa is situated close to the Atlantic Ocean on the site of the prestigious Moliets golf course.